Rob Papen's soft synth Blue-II comes nine years after its predecessor, which is a long time in polysynths. Stroll down the page for the instant thrill of audio demos, or stick around for sagacity, the least gaseous of which is a claim right here on FellKlang, which you are now reading, with your eyes, that Muneer Papen has coded a synth that will set cinematica alight. Or, at least, make it squirm inappropriately, as did the original Blue, but now with more digital stimulation thanks to enhanced hands-on control. 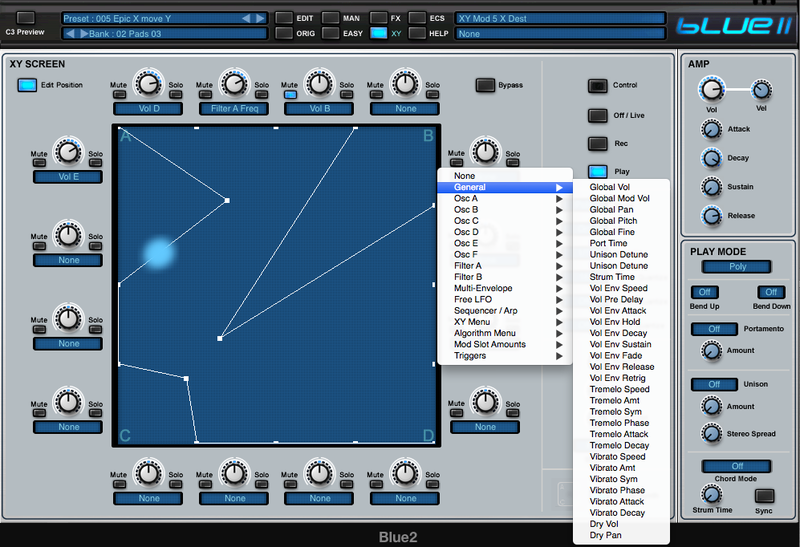 Sound-wise, Blue-II is more than capable of producing the sizzles, pungent flarps and bubbling bloops of EDM (if you can bear the term) in its many guises. 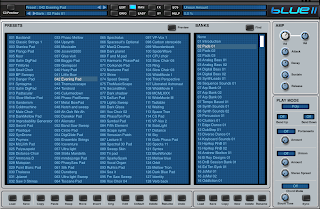 Amid the more than 3,000 patches of the factory banks, there’s a wealth of techno/complextro/dubstep, brostep, naughtystep/blah - you name it. 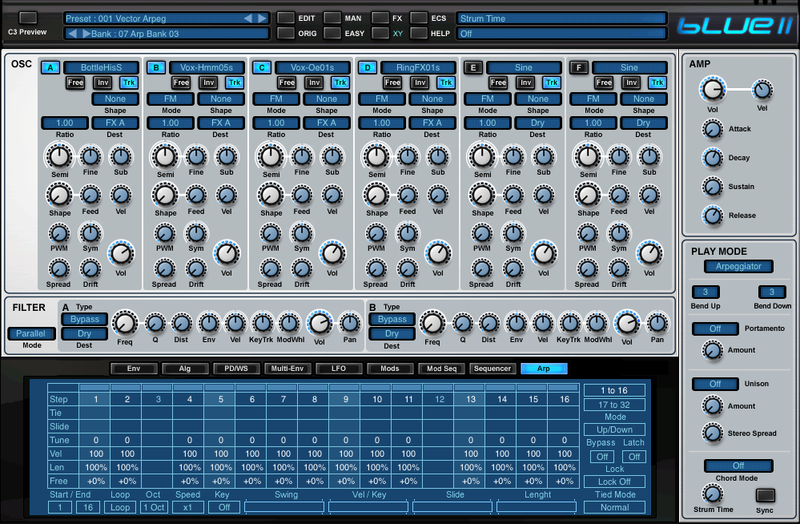 However, the synth looks set to become a must-have for movie soundtrackery, ambient weavings, new-age atmospheres and, oxymoronically, progressive. 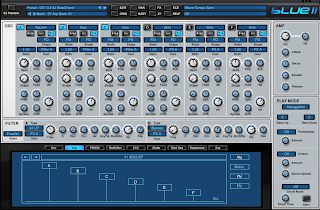 We’ve still the mixture of synthesis methods at the core, given voice by six oscillators ready to be deranged by means of two analog-modelled filters of 27 filter types each. 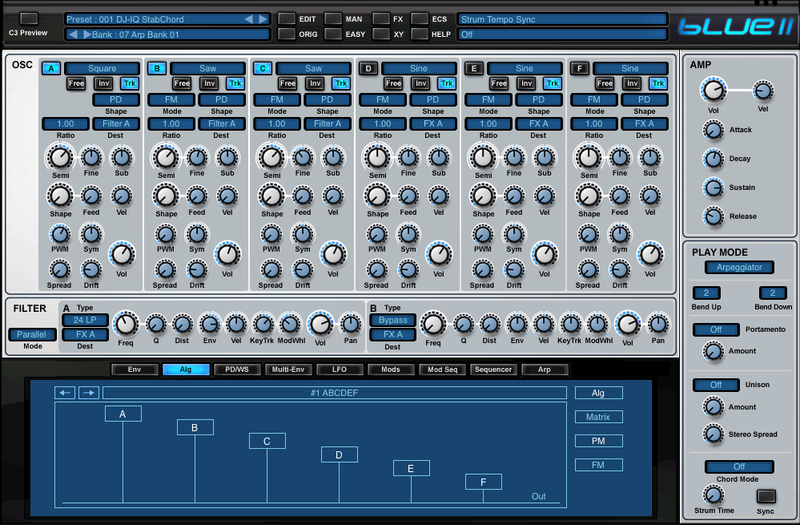 And the mod matrix, sequencer and arpeggiator remain immensely powerful. However, the key refreshment is XY capability. It's an element hacked out of Blade and brings vector synthesis and time-based sound movement to the chopping board with spice. While musical genres have become ultra-mashed in the nine years between Rob’s Blues, with such ghastlies as Avicii's country/mainroom Hey Brother and Babymetal's J-pop/thrash-metal stylings (demonstrating that music tech can transmongrelize anything, no matter how ill-advised, from the sublime to chart fodder)... Well, we appear destined to live in interesting times. However, at the production stage, cross-pollination has its merits. 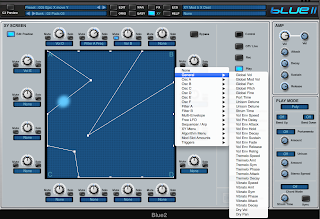 Blue-II is billed as a ‘cross-fusion' synth, incorporating FM, subtractive, phase-distortion and waveshaping technologies by which to create and blend rich, synthetic timbres of a decidedly non-traditional kidney. As the marketing blurb suggests, a throwback to trad tech it is not, so don't expect emulation of classic kit. Rob's newbie is primed to plough fresh furrows from which the alien may sprout. Then again, Keyboards among the audio demos below present some very tasty electronic piano patches that magic up the 1970s in a manner more tasteful than the fashion of the decade. 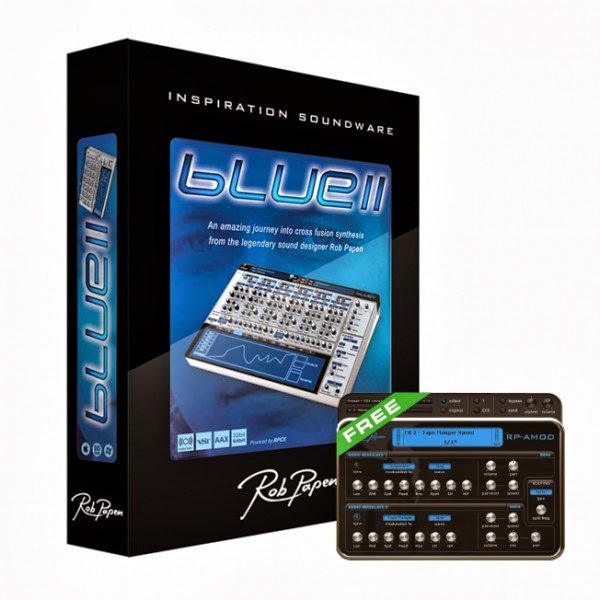 Blue-II could be that most desirable of things, the Secret Weapon synth sought by those eager to break away from the signature sounds of other artists and establish their own unique tones. In this pursuit, its innards pack much to delve into and twiddle, not least of which is the browser window. When it’s time to get creative, we’ve that welcome combination of very easy and very complex, with the six oscillators and their controls marching across the main window, the two analog-modelled filters beneath and editing windows hosting Envelope shaping tools, Algorithm creation, four Multi-Envelopes to assign modulation sources in the Mod Matrix... All the sound-shaping tools necessary to further transform the output of the oscillators and by which to hook in further transformations based on oscillator and filter parameters. As you can see from the screenshots, the layout of the interface is very well crafted and everything is but one click away from the main screen. 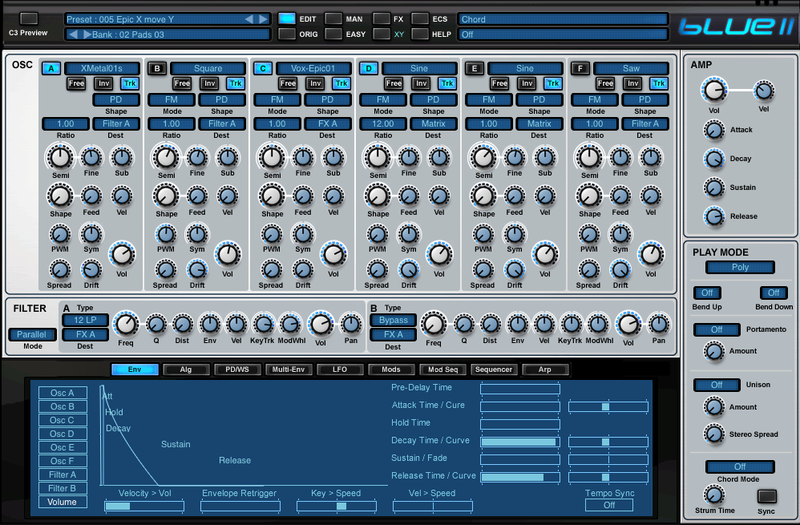 We’ve also access to a Modulation Sequencer, a Pitch/Filter sequencer and an Arpeggiator, all offering up to 32 steps and with speeds relative to host tempo from x1/16 to x16 (it can also freewheel). 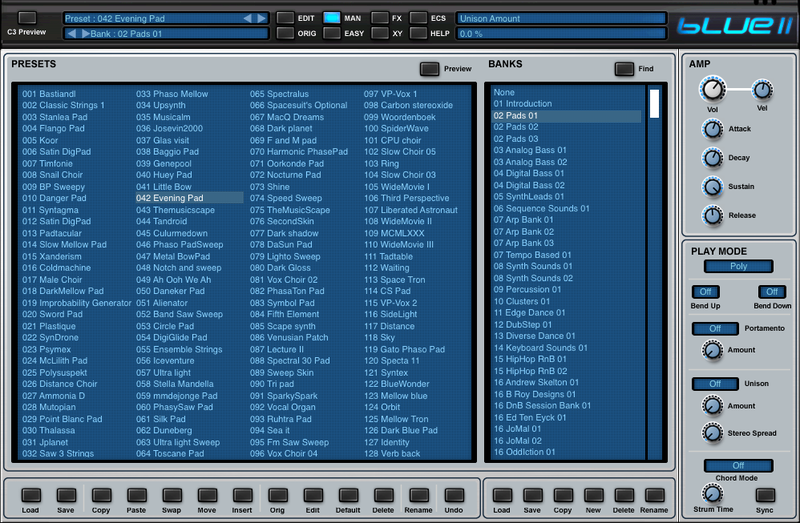 Even more funky is the means to jump between sequencer types via a menu in the Play Mode panel at right, which would be a boggling thing to wang during live performance. The panel also plays host to Chord Mode by which to set up strumming patterns, which will come as good news for those unfortunates who've come painfully unstuck trying to strum a concert grand. 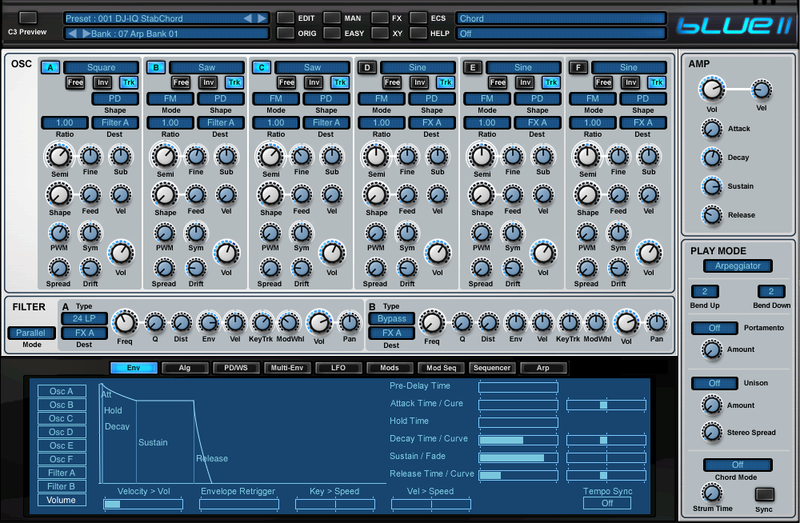 If you’ve the balls to hack it on stage, up top there’s an Easy mode button which replaces the Oscillator view with a screen showing Blue-II’s most performance-friendly controls, the Global Oscillator, Filter, Modulator and XY sliders. Geddit? If XY alone isn’t enough to juice your gear glands, then you may be clinically dead. 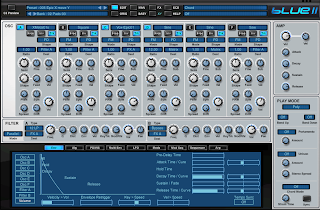 The plethora of patches packed into Blue-II’s library, the variety of synthesis methods on tap and the superb XY feature add up to something way in excess of a paltry price-point. £109? It’s a steal. 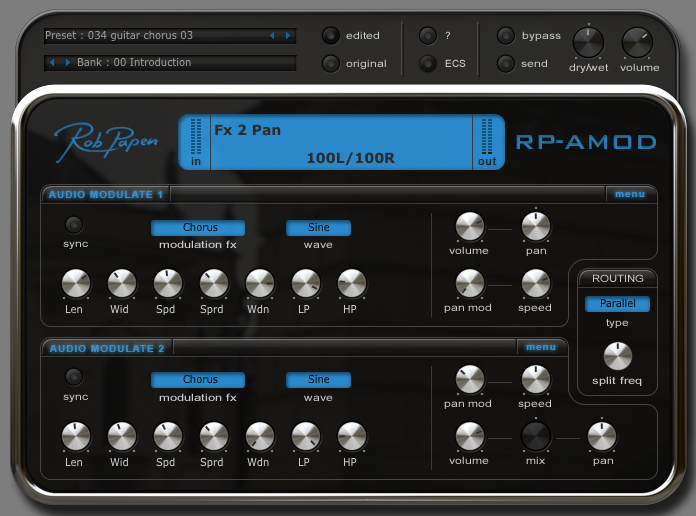 And if you’re new to the Papen product line, on registration you’ll be rewarded with the utterly luscious RP-Amod modulation plug-in for no extra spend. 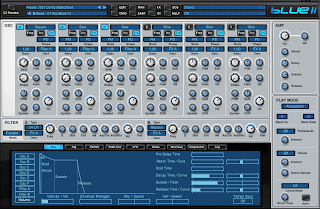 At a guess, Blue-II will become the go-to for many seeking an all-round synth capable of outputting subtractive, FM, PD and wavetable timbres that can be warped, à la vector synthesis, with great ease. 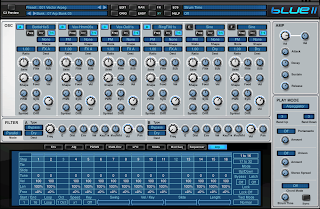 There’s huge scope for creating wild textural timbres that’ll appeal to adventurous sound designers, many of whom work in movies and videogames as well as purely musical composition. And those creating pap for the pop charts will find more than enough bleeps, cracks and whistles, likely of more substance than the music in which they’ll appear. 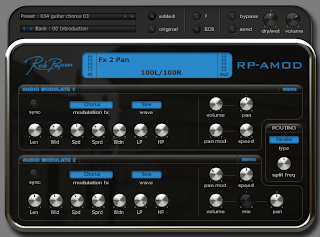 It’s evident that Rob Papen’s latest is not so much Blue as a rainbow of tone colour and possibilities.